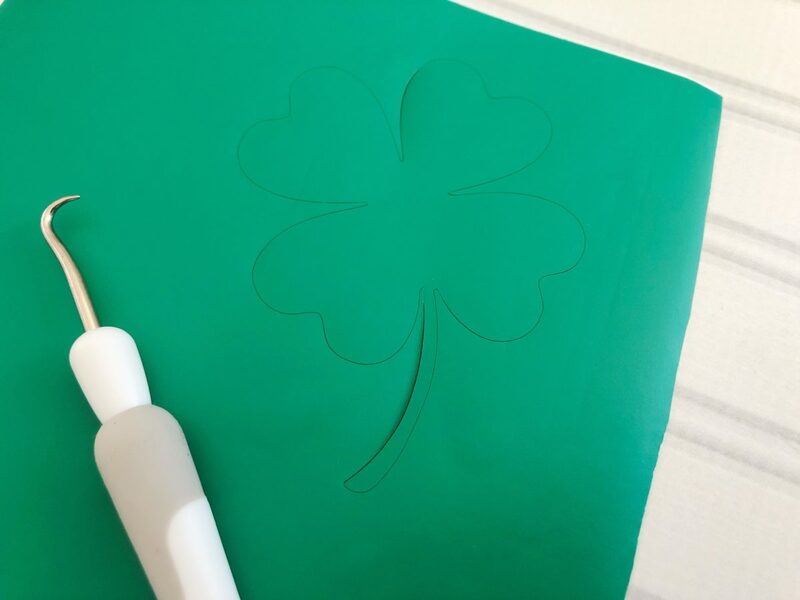 This St. Patricks Day Mug o’ Gold is the perfect craft for beginners. 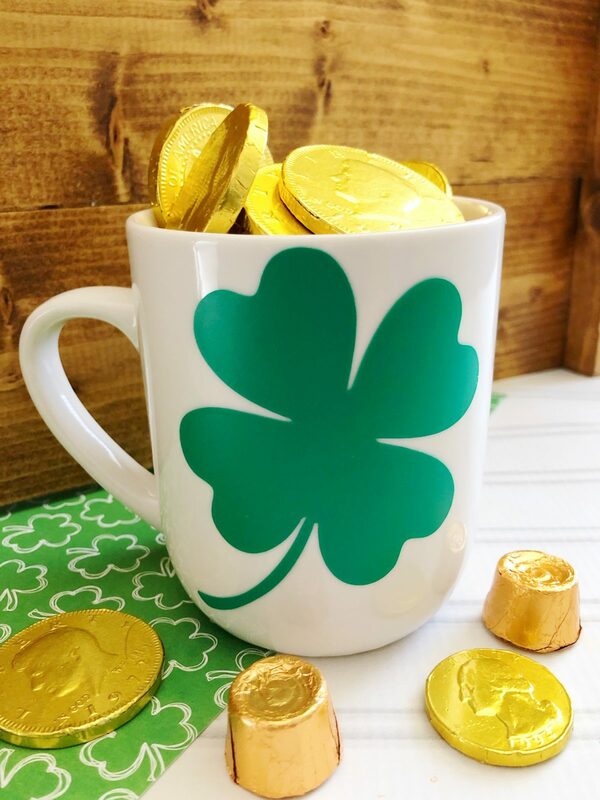 You just cut out one simple clover and apply it to your mug, and then you can fill the mug up with yummy gold treats for a quick and easy gift that anyone would love. 1. 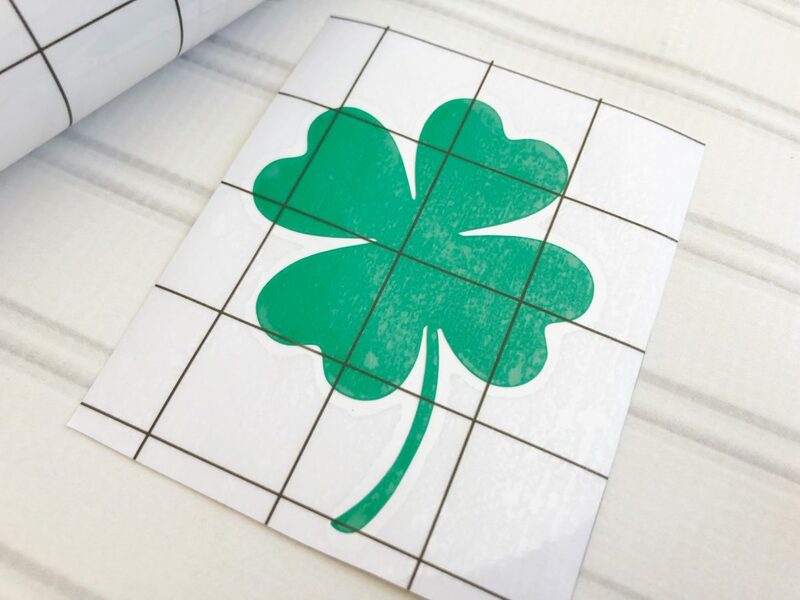 Open the Clover design by Teresa Collins (Design #181138) in the Silhouette Design Store. 2. 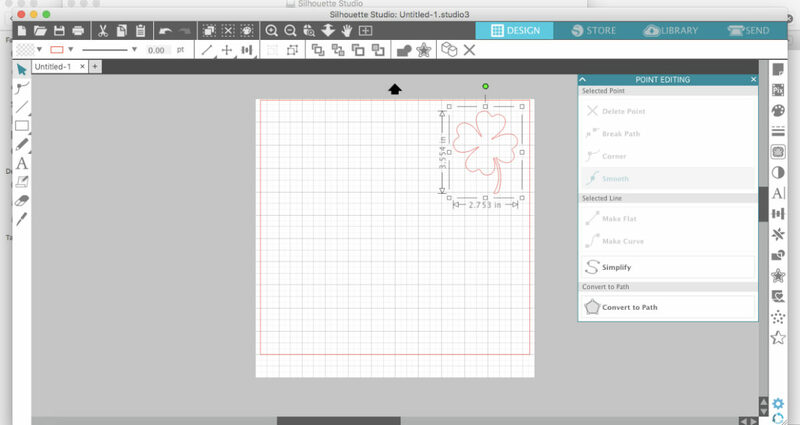 Resize the clover to fit the mug surface to which you’ll apply it. My design is about 3.5 inches tall. Select the appropriate cutting mat or select “None” if you’re cutting without a mat. 1. Under the Send panel, select “Vinyl, Matte” as your material type. Adjust the blade if needed. 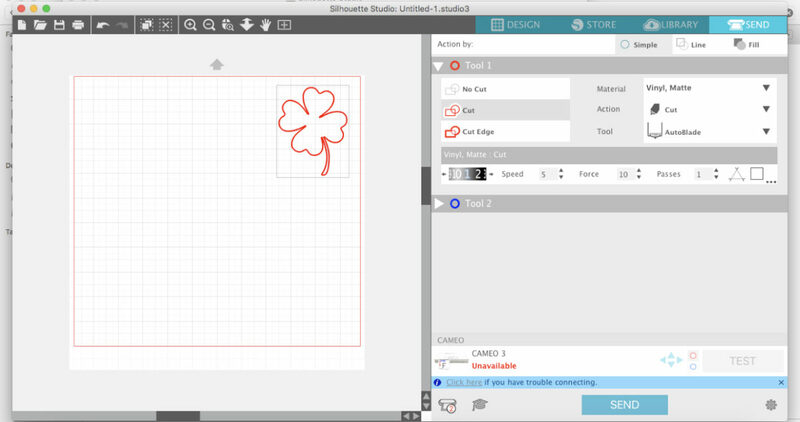 Load the material into your Silhouette machine and then click Send in Silhouette Studio®. 2. Weed (peel away) the negative space so all that remains is your clover design. 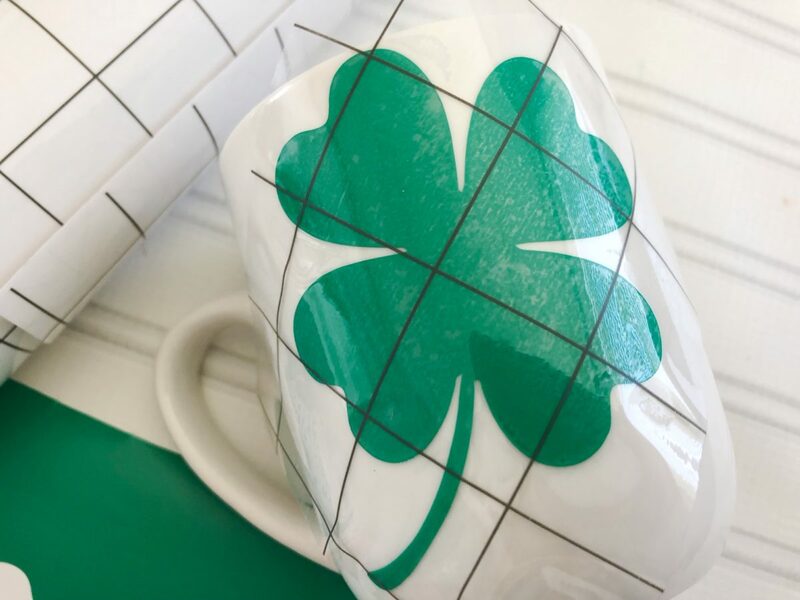 Use the transfer tape to move the vinyl clover and apply it on the mug using the scrapper tool. 2. Once you peel the transfer tape off the mug, fill it with gold chocolate treats and wrapping it in a clear plastic wrap or place it in a gift bag. 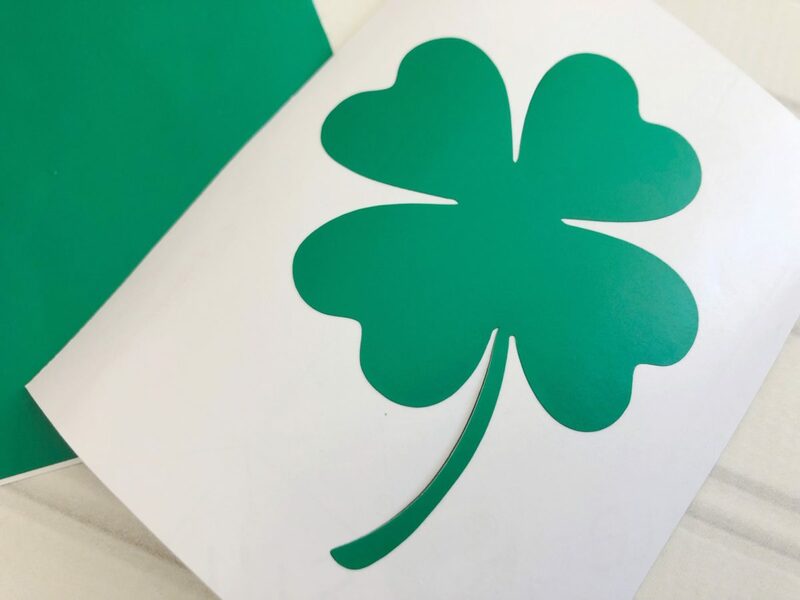 Whoever receives the St. Patrick’s Day Mug o’ Gold will be thrilled with all the sweet treats and the mug for their morning cup of coffee. That’s it! 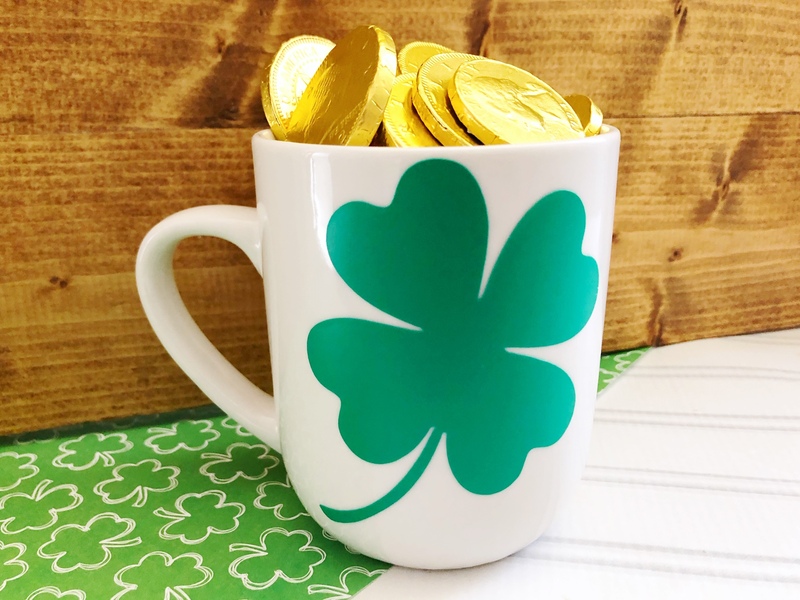 Your St. Patrick’s Day Mug o’ Gold is ready for the leprechaun to gift!